Ready to make the most of your Halloween experience in Washington, D.C.? You’re not alone, as thousands of kids and adults likely will visit Georgetown, Capitol Hill, and other DC neighborhoods to trick-or-treat this Halloween. But remember, Halloween safety is important for trick-or-treaters of all ages, so you’ll want to do everything possible to guarantee you can enjoy a safe and fun-filled experience. Fortunately, we’re here to ensure you celebrate Halloween safely—here are four tips to help you stay safe on Halloween. 1. Consider Your Halloween Costume. Adults and children may dress up as superheroes, princesses, or in a variety of other costumes for Halloween. However, it’s important to consider your entire costume before you start trick-or-treating. By doing so, you’ll be able to ensure this outfit can easily be seen at night and won’t obstruct your vision. Wear bright colors to guarantee that you can be seen easily at any time. Avoid long outfits to minimize the risk of tripping and/or falling as you trick-or-treat. Use makeup instead of a face mask to ensure you can see clearly while you trick-or-treat. Carry lightweight, flexible props as needed. No one wants to struggle as they walk from house to house on Halloween night. If you consider what you’ll be wearing in advance, you should have no trouble remaining comfortable and confident in your costume. 2. Follow General Safety Rules. Never go into a stranger’s home, talk to strangers, or get into a stranger’s car. Attach the child’s name, address, and phone number to his or her costume. Use flashlights and stay on sidewalks while you trick-or-treat. Trick-or-treat only within familiar areas and their surroundings. Ultimately, Halloween is all about having fun with family members and friends—not putting your life at risk. And if you use these general safety tips, you can avoid Halloween dangers and improve your chances of making the most of your experience. 3. Inspect All of Your Child’s Halloween Candy. Your son or daughter may have received hundreds of pieces of candy on Halloween night. But once again, you’ll want to err on the side of caution. Before your child digs into his or her Halloween candy stash, you should inspect every piece. Inspecting the candy ensures your child can avoid eating unsafe treats. For instance, if your son or daughter has a peanut allergy, you’ll be able to remove candy that contains peanuts if you examine his or her candy before they enjoy it. If your child receives fruit, don’t forget to cut into it. This will allow you to ensure there are no foreign objects inside any fruit that your child receives on Halloween night. 4. Book a Trip with a Proven Chauffeured Car Service. When it comes to traveling from place to place on Halloween, there’s no better choice than a chauffeured car service. A luxury car service will drive you anywhere you need to go quickly and efficiently. That way, you won’t have to worry about driving around the D.C. area on Halloween night. 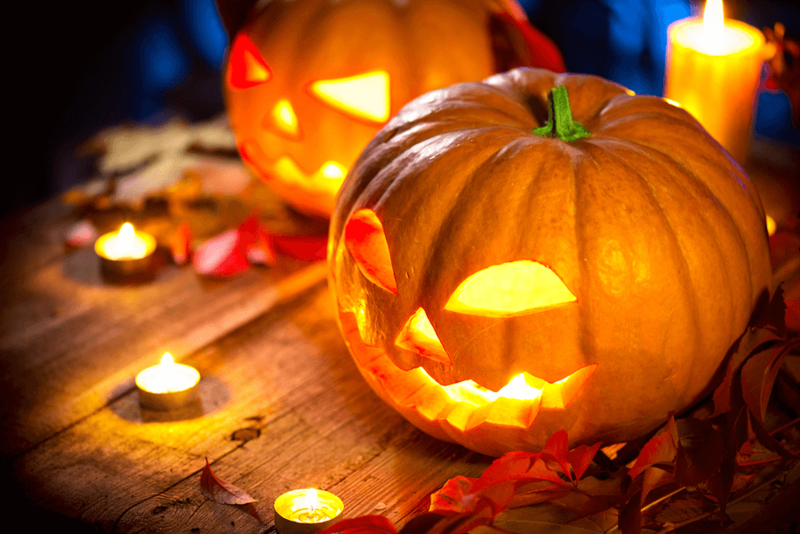 Plus, a chauffeured car service takes the guesswork out of Halloween travel entirely. If you’re headed to a Halloween party, a chauffeur will pick you up and take you to your party destination on schedule. Then, after the party reaches its conclusion, this chauffeur will be ready to take you home at your convenience as well. Select a Top-Notch Chauffeured Car Service This Halloween. Now that you know the best tips for Halloween safety, it’s essential to consider how you’ll get from Point A to Point B on Halloween night. And even though many car services are readily available, not all of these ground transportation providers are created equal. In many cases, travelers may consider ridesharing services like Uber and Lyft to get where they need to go on Halloween. These services offer no guarantees. They also frequently use “surge” pricing, which means you may wind up paying more for a ground transportation service on Halloween night and other high-demand periods than you would at other times. American Executive Sedan has served as a premier ground transportation provider in the D.C. area for years. Our team consistently goes above and beyond the call of duty to assist clients and will do everything we can to ensure you can enjoy an unparalleled travel experience on Halloween. From our large selection of luxury vehicles to our friendly, professionally trained chauffeurs, we offer plenty of great ground transportation amenities to help you travel in comfort, style and safety at all times. In addition, our travel specialists are happy to guide you along the reservations process, ensuring you can book the right vehicle for the right time, every time. And if you ever have concerns or questions along the way, we’re happy to respond to your queries immediately. Don’t leave your ground transportation to chance this Halloween. 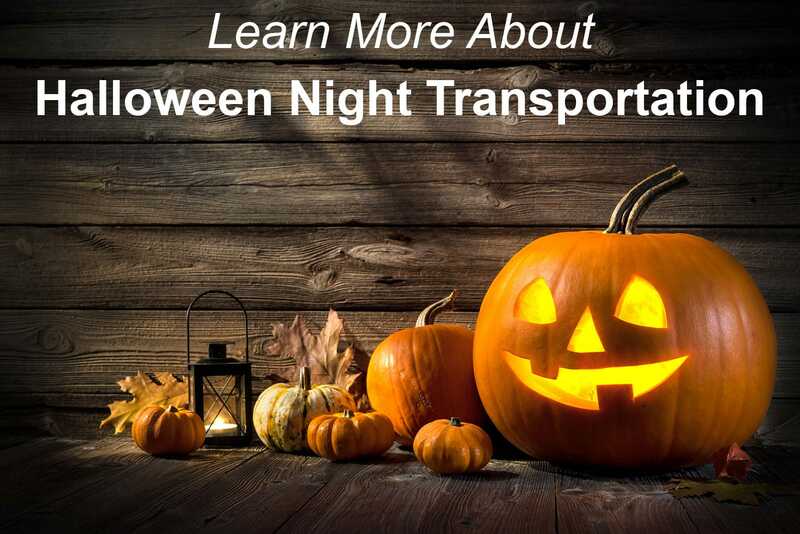 Choose American, and you can reap the benefits of an outstanding ground transportation experience on Halloween night.